Buckie is a historic fishing town on the coast of the Moray Firth. It extends along three miles of coastline. It is made up of several communities, from Buckpool or Nether Buckie in the west through Easter Buckie to Ianstown and Portessie in the East. The earliest known reference to Buckie is believed to have been as long ago as 1362. There was a fishery settlement in Buckie from the middle of the seventeenth century, and by the end of the next century there were 14 boats and a yawl fishing from the village. The Moray Firth Coast Railway, a part of the Great North of Scotland Railway, opened for passengers on 1st May, 1866, and linked Buckie by rail to Elgin and the North, Aberdeen and the South. The railway closed at Buckie in 1968 which left Keith with the only Railway Station in Banffshire. The first harbour was built in 1843 and extended in 1852 to include a harbour of refuge. Boat and ship building was carried out from the end of the eighteenth century. In 1842 Buckie was a busy port with 117 large and 28 small fishing vessels. It went from being a small port to become the major fishing port of the Moray Firth and by 1913 was to have the largest steam drifter fleet in Scotland. In 1874 work began on the construction of the Cluny Harbour; this, the present harbour, occupied a site of 9 acres. Work was completed in 1880. In 1909 ownership of the harbour passed to Buckie Town Council. In recent times ownership has transferred to the Moray Council. 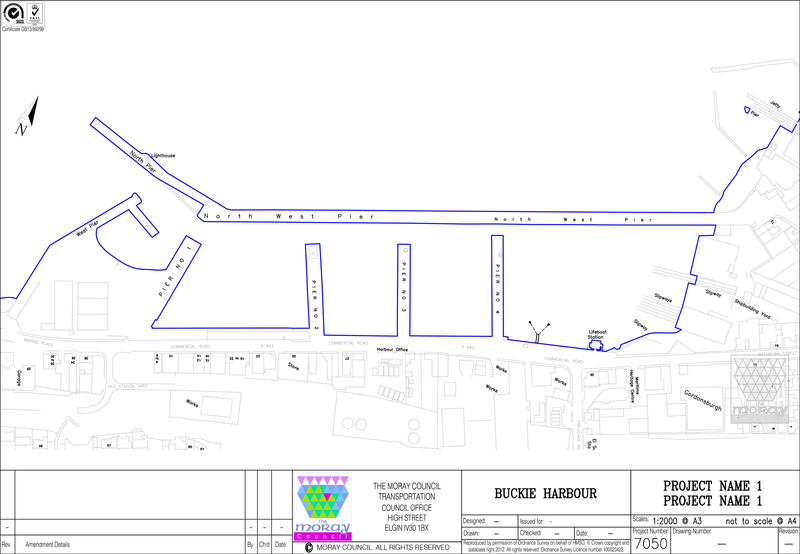 Buckie harbour nowadays consists of four basins. The maximum LOAs are currently 88 Metres at Pier 1 and 80 Metres at Pier 2, maximum Beam 15 Metres and maximum Draft 4.5 Metres. 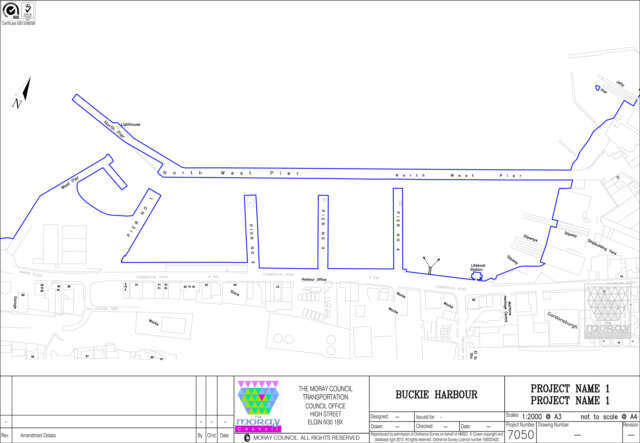 With appropriate risk assessment the port are willing to look at vessels outwith that criteria to a maximum of 90 Metres LOA, 16 Metres Beam and 5 Metres Draft. This would be on a case by case basis and involve more stringent weather condition restrictions and will only done at the top of the tide. It is very much a working port and a walk down by the harbour will be punctuated by the sights and sounds of repair work being done on numerous trawlers. 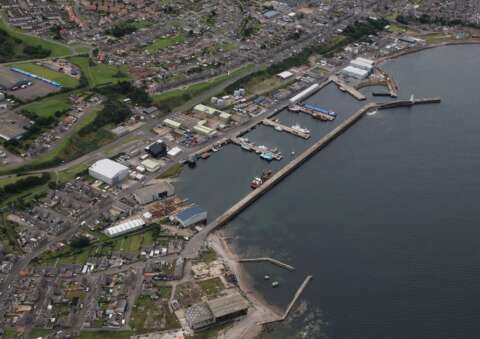 Macduff Shipyards have recently purchased one of the old ship building and slip facilities with it expected to be up and running by summer 2018. They will offer all sorts of ship repair services including fabrication and installation of equipment, all engineering and electrical works, cranes and painting. Although they specialise in fishing boats they also have a lot of experience with all types of workboats servicing the energy sector including those made from composites. The harbour is manned 24 hours, 7 days per week. North East Stevedoring Ltd. For stevedoring, forklifts, riggers etc. Forsyths have 2 sites at the harbour and they specialise in all forms of fabrication having completed projects for the oil and gas sector, cable laying reels and distilleries. There is a lot of potential in Buckie for development with ample space available and a local workforce with extensive energy sector knowledge. North pier Breakwater is currently used to store and work on fishing equipment. Fishing related activities, 1 offshore CTV and our pilot boat.